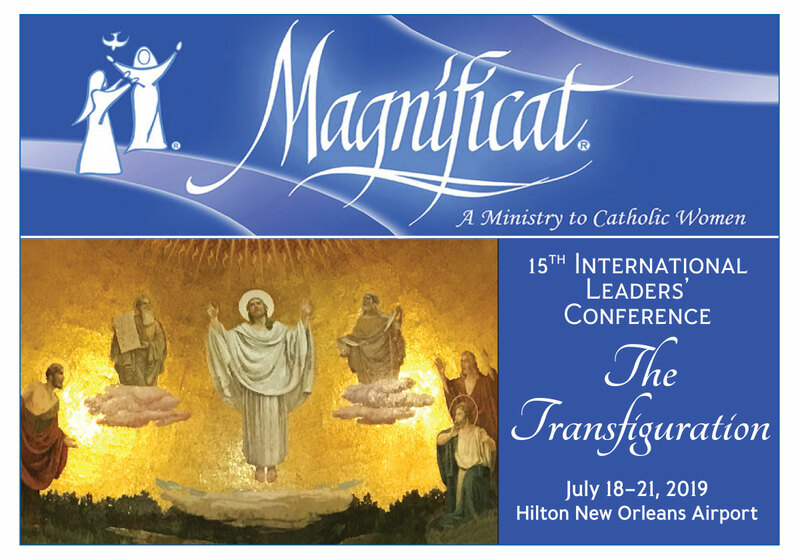 Join your Magnificat Sisters at the 15th International Leaders’ Conference! Experience the joy of being together as we celebrate our shared mission and commitment to Magnify the Lord! This Conference offers an amazing weekend filled with inspirational speakers, including founding members of the Ministry, and informative workshops. A special excursion has been arranged to the National Seelos Shrine for Mass and a Healing Service. Events will take place in New Orleans, LA, birthplace of our Ministry 37 years ago. It is the perfect backdrop for celebrating the Conference theme: the 4th Luminous Mystery of the Rosary “The Transfiguration.” Call your Magnificat sisters, family, friends, and Chapter Spiritual Advisors! Plan to attend this Conference and be prepared to be transformed!